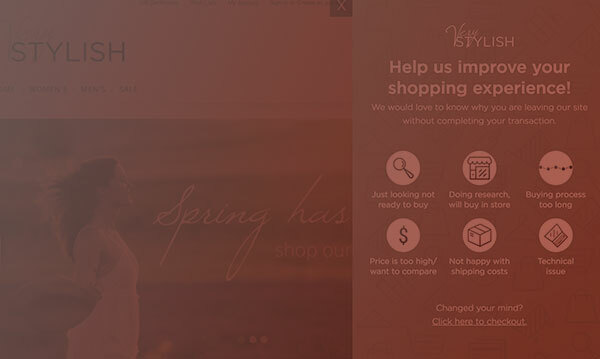 Gain your customers’ attention upon abandonment with branded, mobile-friendly, contextually relevant & personalized onsite messaging and recommended products. Our onsite engagement solution integrates seamlessly with your website and offers a personalized and supportive experience, rather than interrupting and irritating your customers. We treat each visitor as an individual, with personalized messages that strengthen your relationship and guide them on their path to purchase. 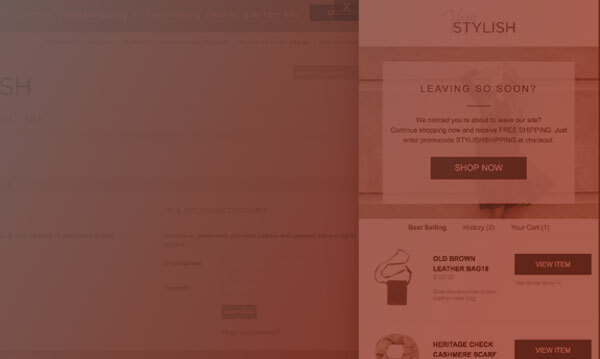 There are a lot of reasons for customers to leave your site, but letting them leave without a fight when a customer has shown strong intent to buy never makes sense! Creating engagement through urgency, fear of missing out or a financial incentive is critical to persuade a client - especially a high value one - to complete their purchase. However, delivering the right message at the right time to the right person, to prompt them to stay onsite and convert is a challenge. Our onsite engagement solution displays highly targeted, behavioral, & real-time messages to keep the customer engaged as he is about to abandon. Increase customer engagement and grow revenues by boosting your promotions and key messages to prospective customers with Cybba’s mobile-friendly promo bar. The solution’s design, format, size and placement are customized to align with your brand and website to provide a seamless customer experience. 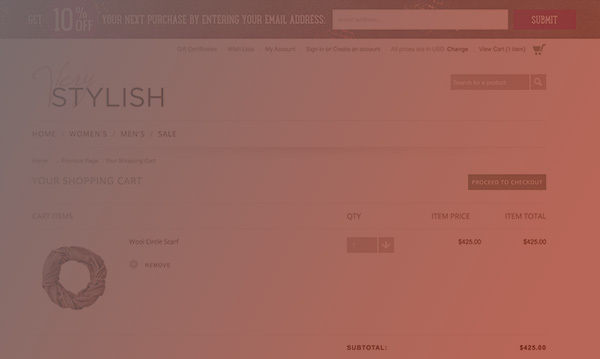 Additional features to capture customer attention include: email capture, animations, and countdown timers. Gain insights on your customers' online experience with Cybba’s insight surveys. Conduct surveys in Cybba’s onsite engagement and email remarketing solutions and analyze and report results in our performance dashboard. 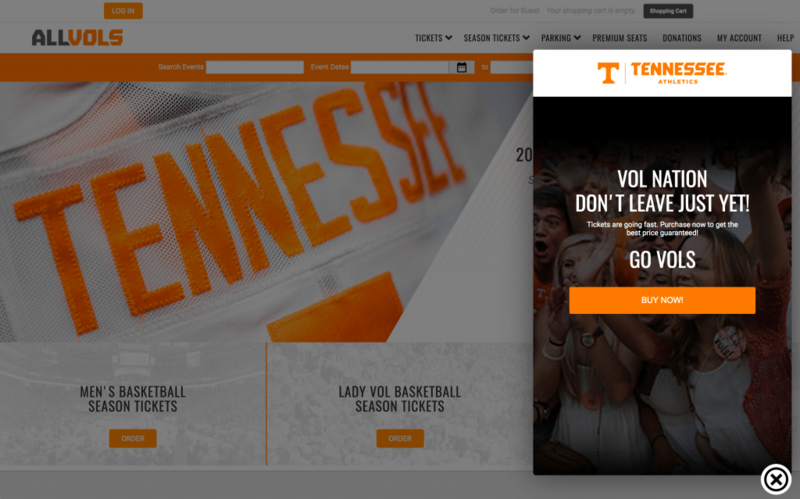 See how Cybba worked with the University of Tennessee Athletics to convert its onsite traffic, re-engage abandoned visitors and upsell to returning buyers and loyal fans.